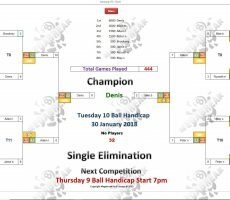 TUESDAY 10 BALL – 30th JANUARY : DENIS WINS. 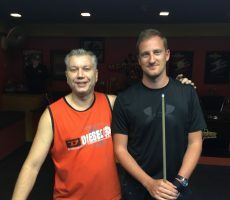 A quality performance from Estonian professional Denis Grabe saw him win our 10 Ball Competition this week. 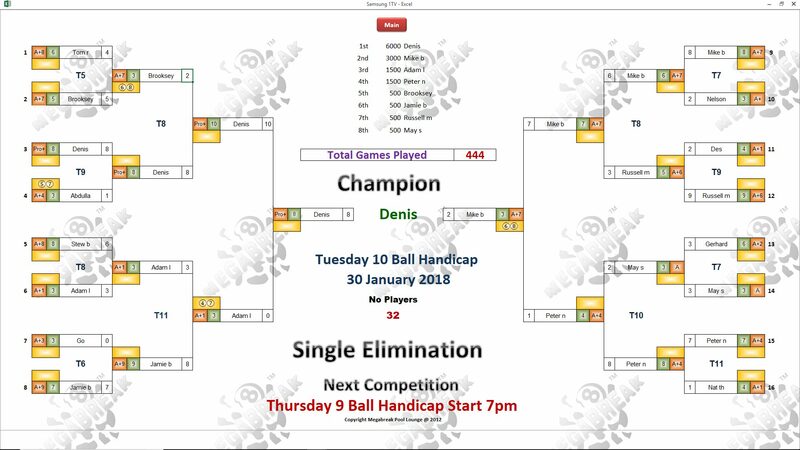 Playing off the maximum handicap of PRO+ he went undefeated all night long to win six straight matches and pocket the 1st Prize of 6000 baht. 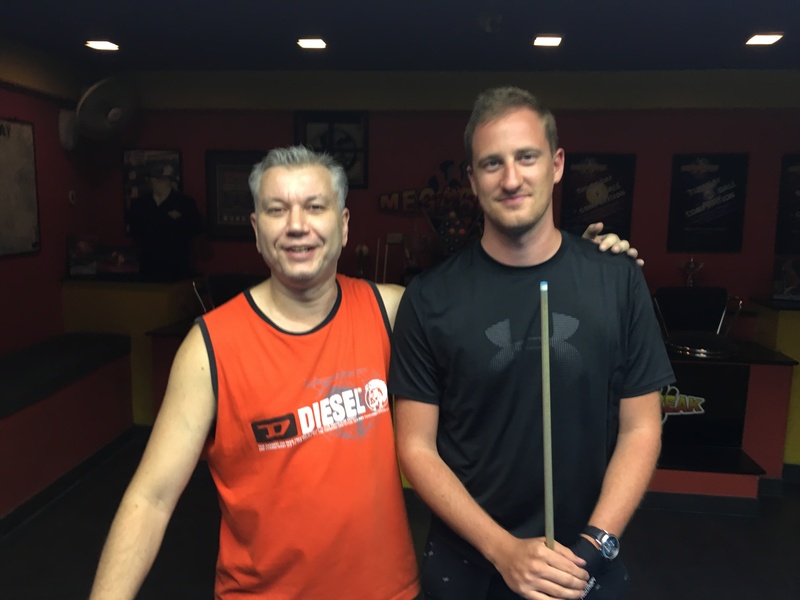 In the final he beat “New Yorker” Mike Berezovsky in a short race final, as Mike continued to “protect” his handicap before our 9 Ball High Roller event, which was due to start on Friday. 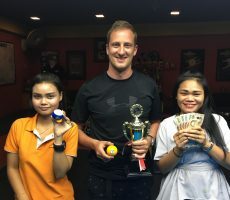 Mike took home 3000 baht as Runner-Up. 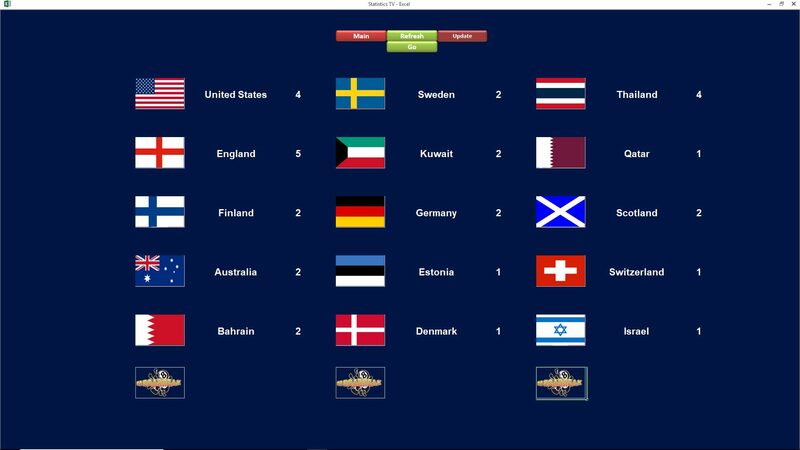 Peter Nielsen from Denmark and Adam Lux from Australia both reached the semi-finals, collecting 1500 baht each. The former’s handicap now moves back up to A+5 as a result. 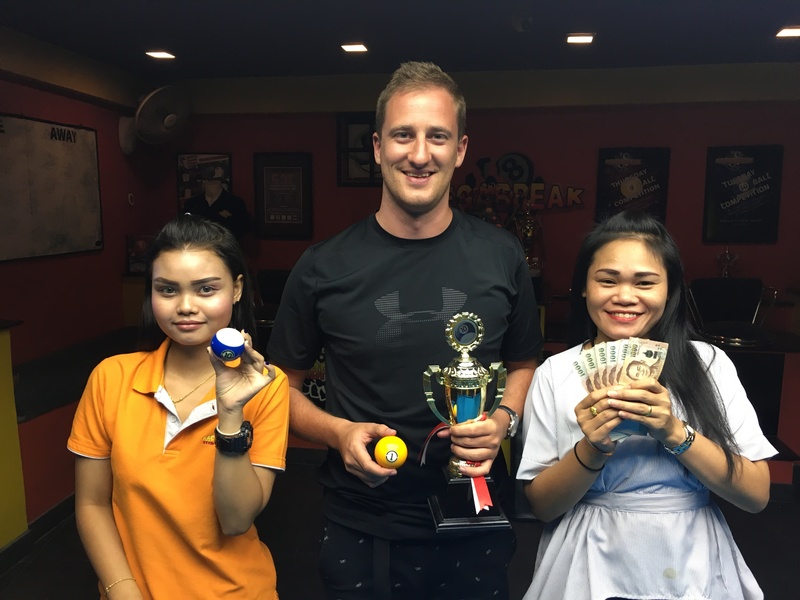 Champion : Denis (Pro+) – 6000 baht. 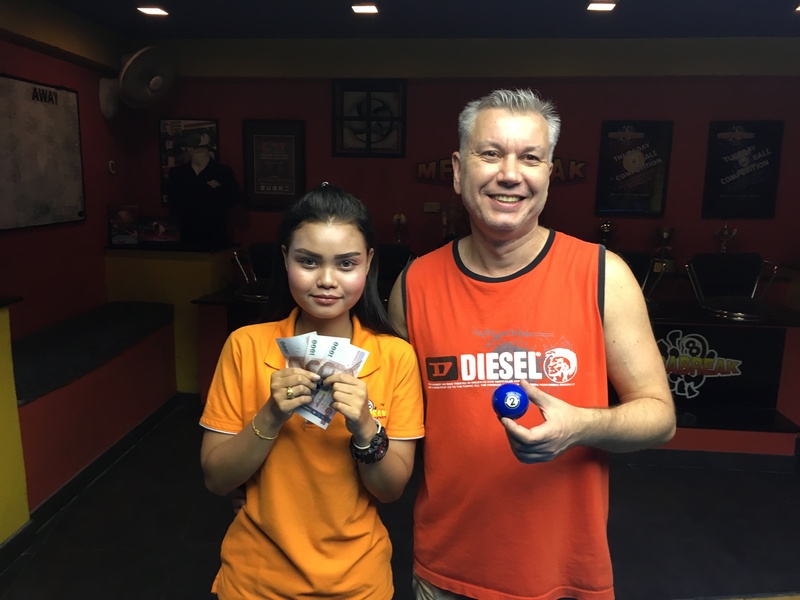 Runner-Up : Mike B (A+7) – 3000 baht. 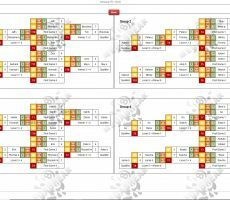 Semi-finals : Peter (A+4) and Adam (A+1) – 1500 baht each. 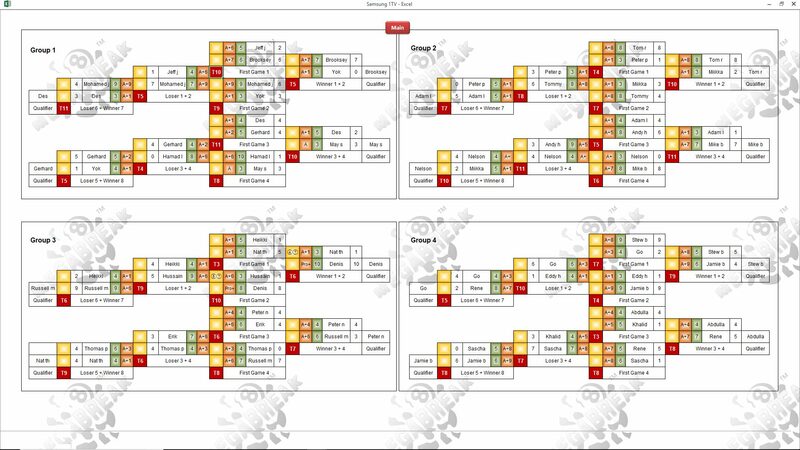 Quarter-finals : Jamie Brooks (A+9), Brooksey Brooks (A+7), Russell (A+6) and May (A) – 500 baht each. The Player Auction Prize Pool totaled 43400 baht and was won by our champion, Denis. 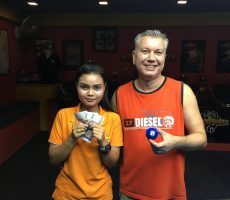 He splashed out the top price of 2500 baht to buy himself, and turned a good night into a great one by adding an extra 12200 baht to his winnings. 1st (28%) : Denis (Himself) – 12200 baht. 2nd (22%) : Heikki Nikunen (Mike B) – 9600 baht. 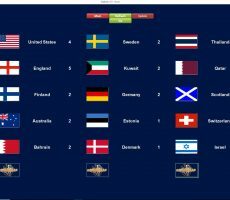 Equal 3rd (13%) : Jamie (Peter) and Gerhard Schebler (Adam) – 5600 baht each. Equal 5th (6%) : Scott (Jamie), Adam (Brooksey), Miikka Karila (Russell), and Sascha (May) – 2600 baht each.